The day has come: You have decided to sell your washer, dryer, refrigerator or oven. Or perhaps you wish to buy a used appliance to save money and get a more reliable machine. Whether you are selling a used home appliance to help fund a new appliance, you are moving to a place where you cannot take it or you are simply dissatisfied with it, it is important to set the right price for both potential buyers and yourself. If you are on the buying end, you want to take certain details into account to ensure you get a good deal on the machine. Regardless of whether you find it at a garage sale or a website such as Craigslist, you need to protect yourself. There are several factors to consider when it comes to pricing and shopping for appliances, and they may not necessarily be the ones you expect. Read on to learn how to determine a good used appliance price. Looking at the prices for similar makes and models is a good starting point for learning the average cost of used appliances. If you are shopping around for a used appliance, taking this step can help you figure out whether or not the machines you find are priced fairly. It helps sellers, too. Your particular model may no longer be on the market depending on how long ago you purchased it, but you can still get a base price from those currently on the market. Ads that other people have posted for used appliances are also helpful to both buyers and sellers. As with listings for new appliances, look for similar makes and models. 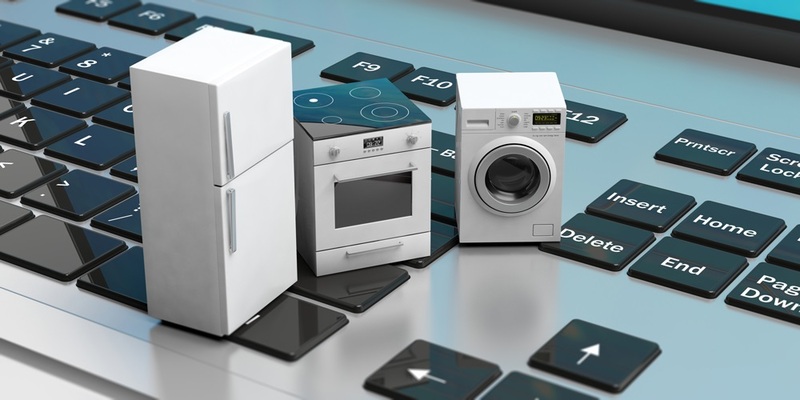 Used appliance shops can be a decent resource, as long as you keep in mind that the items they sell are typically overhauled and sold with a short warranty. Compare features, as well. For example, when it comes to dryers, front-loading, large-capacity, high-efficiency and machines with a steam setting will command a higher used appliance price than those that do not. Sellers need to steer clear of hiking up the price, as overpricing your washing machine, dryer, stove or refrigerator will likely result in failure to sell it. You can fairly charge up to half the price of new appliances depending on factors like age and condition. Buyers, to make sure you do not get swindled, make sure you pay careful attention to the condition and age of any appliances you consider purchasing. Compare the price to similar new appliances on the market. If it is listed for about half of that price, in decent condition and is not ancient, the price is likely fair. If you want to give yourself the best chance possible on the selling or buying end, there is an equation you can use to estimate the current value and, from there, come up with an accurate number. Figuring out the current value is a critical part of setting the used appliance price, and figuring out if a listed appliance is priced fairly, because appliances depreciate with use, over time, much like automobiles. Divide the original purchase price by the average lifespan of the appliance in years and multiply the result by the number of years remaining until the average lifespan. The current value of this dryer is $150. The current value of this fridge is $611. The current value of this oven or stove is $644. Buyers likely will not know the original purchase price. If you are not able to get this information, you can apply the aforementioned rule about charging up to half the price of a new appliance to make sure you are getting a fair deal. The amount of wear and tear endured by the machine and the condition it is in should always get figured into the used appliance price. Since how well you take care of an appliance can affect its lifespan, maintenance is another important consideration. Overall, a machine that performs well is worth more than one that does not. The current value of a poorly functioning two-year-old oven, for example, is probably not going to be much higher than a five-year-old one of the same make and model that runs like a dream. Buyers, if the listing does not offer much information about the condition of the machine, do not hesitate to reach out to the seller to inquire. After all, if you are going to spend your hard earned money on something, it is perfectly reasonable to make sure it is in good operating condition. When it comes to selling a used appliance, you have two options if it is experiencing any issues. You can get it repaired yourself and add the cost to the price or you can lower the price to account for the problem. Make sure that if you do the latter, you are transparent about the issue in the listing. Regardless of whether you are getting ready to sell a used appliance or need to repair a used machine you purchased, Area Appliance Repair can restore your washer, dryer, refrigerator or stove to full working order. Family owned and locally operated since 1958, we treat your appliances as if they were our own. This means being transparent about all associated costs and mechanical issues, always delivering top notch customer service and showing up for appointments on time. We also never touch your appliances until we get approval on the estimate from you. Our technicians possess expertise in major brands including LG, GE, Samsung, Maytag, Kenmore and Whirlpool. 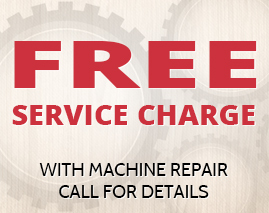 We are conveniently located near you, servicing Buffalo Grove, Arlington Heights and surrounding areas.